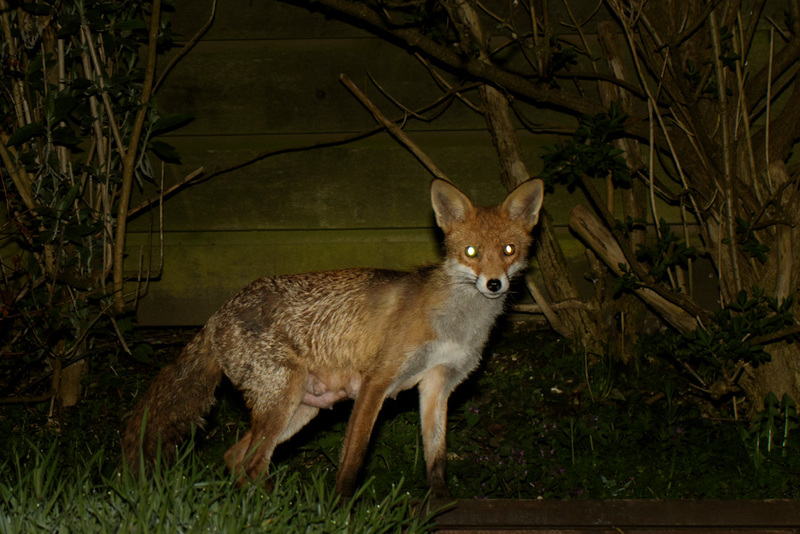 A month or so ago I posted that we thought Pretty Vixen was pregnant… but that proved to be a false alarm. She isn’t. What’s been noticeable though over the past three weeks or so is that her behaviour has changed. She visits less frequently and either takes any scraps away or caches them. She’s what is known as a ‘helper vixen’, a young female who assists in the raising of another vixen’s cubs. 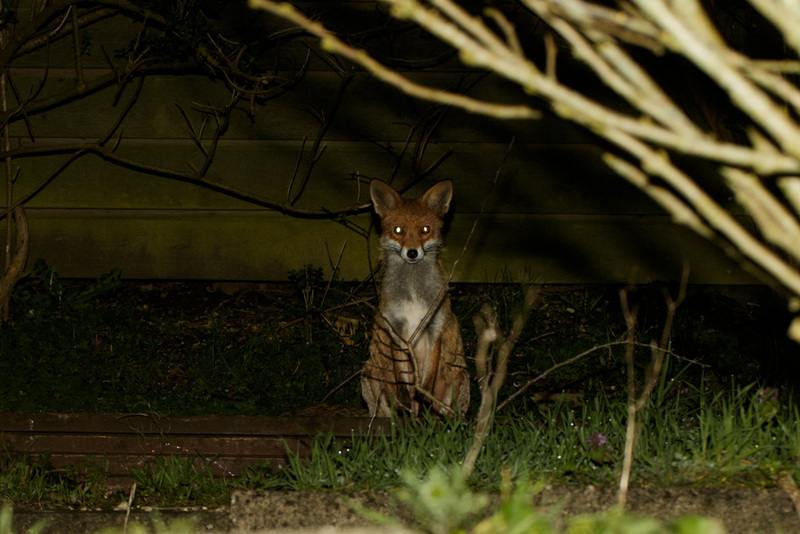 Last night she was in the garden again, but Mama was lurking in the background. For the mother to be venturing out so soon, the cubs must be very close so there’s a good chance (but not guaranteed) that we’ll see them while they are quite young. We’ll be watching! 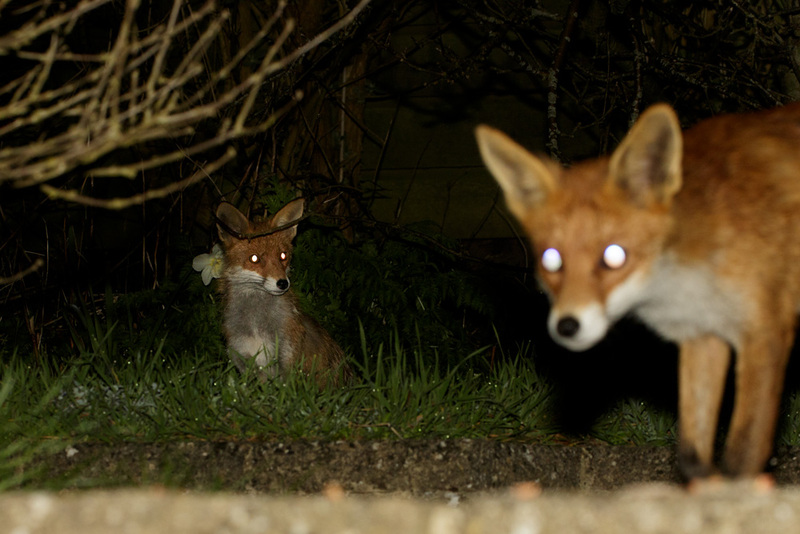 This entry was posted in Foxes and tagged fox. Darko… hopefully yes. I think they must have the den a couple of gardens away, I’ve not seen the cubs yet, but a neighbour has and says they are tiny, and still have their black coat.